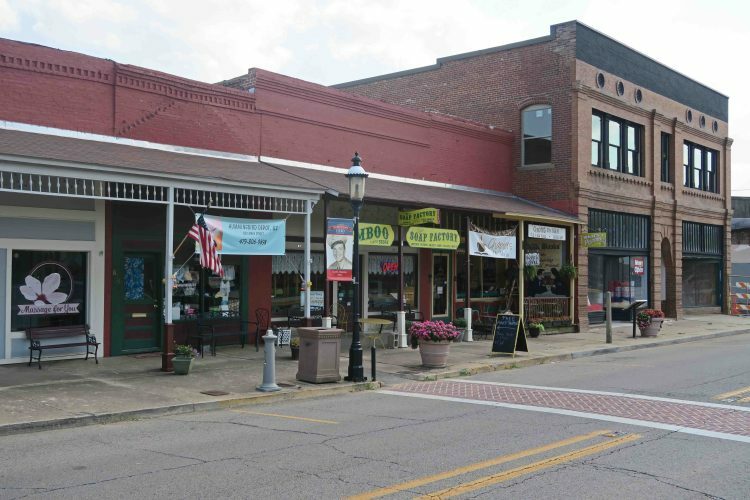 My love for local bookstores was solidified during college when I worked at Adams Bookstore in Arkadelphia, Arkansas. Mr. Adams was like a mentor to me during that time. I wrote about his influence during those crucial years in another post. 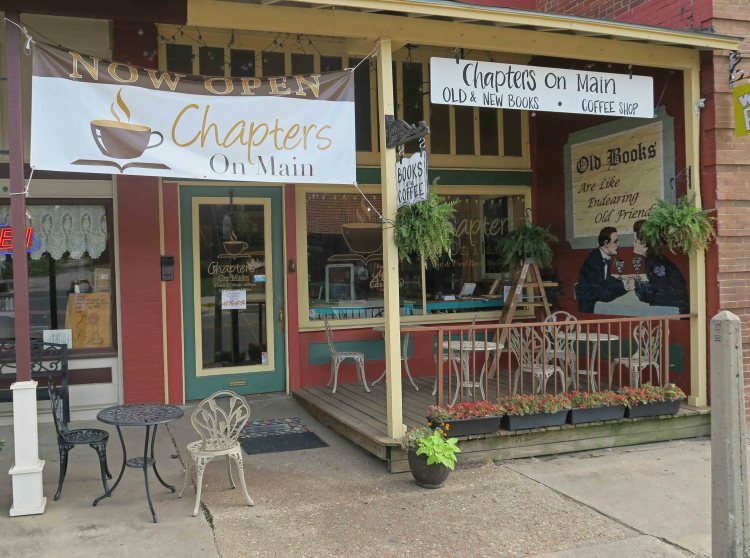 In 2016, I learned of a bookstore with character and good coffee right down the road in Van Buren. Walking into Chapters on Main is like stepping into a private refuge filled with books and the pleasant smell of coffee. 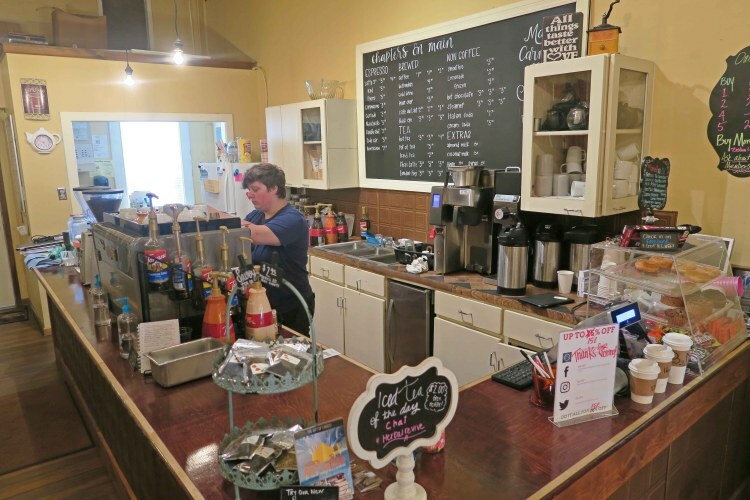 You’ll often see young customers sipping coffee while exploring the shelves, using the wireless, or participating in book study groups. 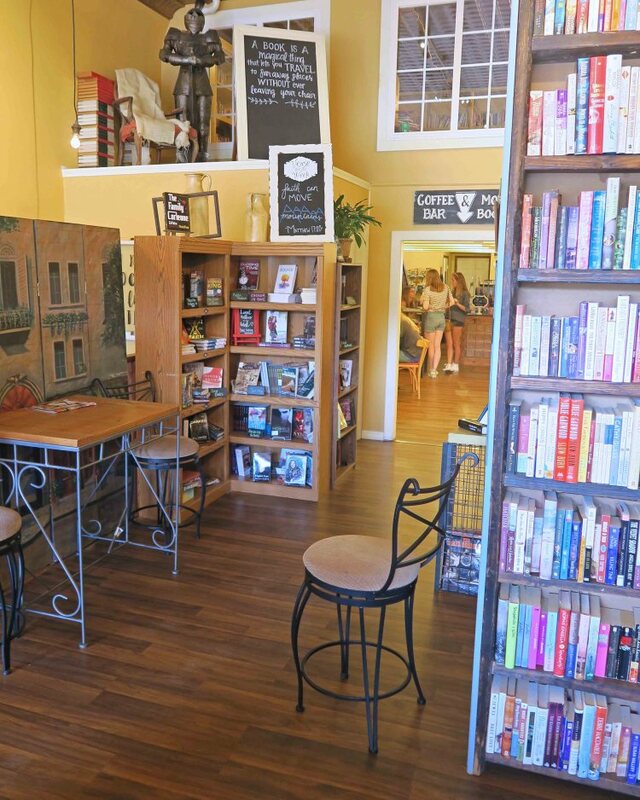 Marla Cantrell beautifully tells this bookstore’s story in Do South Magazine, The Best Chapter Yet. I was pleased to do my first book signing at Chapters on Main, and they’ve continued to carry Five Star Trails: The Ozarks. 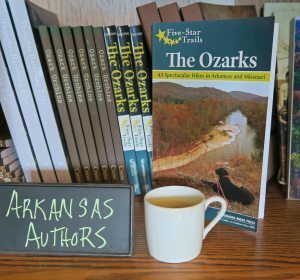 It makes me proud to see my book in the company of other Arkansas authors in a locally owned bookstore that provides a wonderful learning hub for our community. I have another book signing on Saturday, July 21, from 12:00-2:00 p.m. Ride the train, then pick up your guidebook and let’s talk about trails. Fall is just around the corner! The coffee shop is usually busy. I recommend the double shot espresso! Excellent shopping is found all along the street next to Chapters on Main. 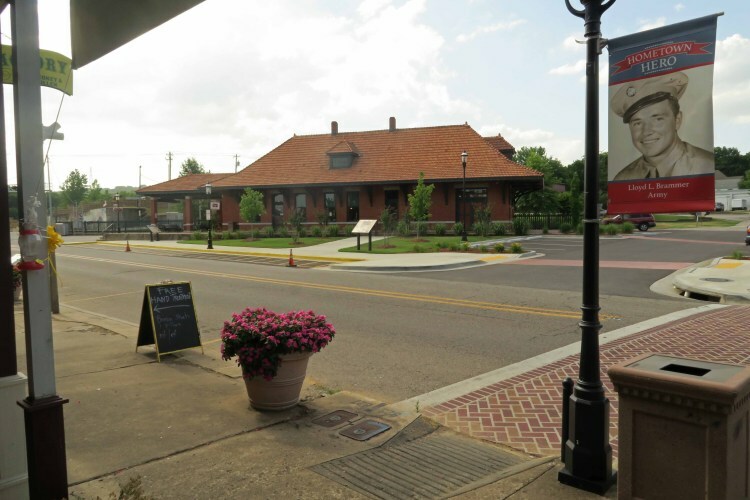 The train depot and veterans park are located across the street. Here are links to the various articles, books, and posts I mentioned throughout this piece. I hope you enjoy them.